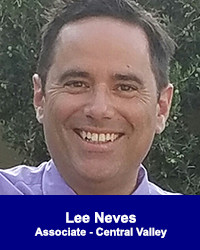 Lee Neves, Associate - Central Valley - California Consulting, INC.
Lee Neves, Associate for California Consulting is responsible for the Central Valley, and is based in Stockton, CA. A graduate of the University of the Pacific and the McGeorge School of Law at the University of the Pacific, Lee has nearly 20 years experience in governmental affairs and community relations, including leadership positions with members of the State Senate, State Assembly and a Fortune500 company. He is active in several volunteer organizations and activities here in Northern California , including being on the Executive Board of the Pacific Athletic Foundation, March of Dimes Signature Chef Auction Committee and for the last four years, playing Santa Claus for Central United Methodist Church. California Consulting LLC is pleased to announce our client, Azusa Unified School District, was awarded the Classics for Kids grant for $5,000! Congratulaions to Azusa Unified School District staff and California Consulting’s grant writing team on the successful application.